In September 2014, Linpico was awarded and began implementing the EU funded ‘Support to the Management and Coordination of Development Cooperation in Lesotho’ with the Ministries of Finance and Development Planning. The project, which will be implemented until 2018, seeks to improve transparency and effectiveness of policy orientation of the budget through strengthened management and coordination of development cooperation. Part of this project involves improving the coverage and reporting of externally financed programmes. Last semester, our team has prepared a report providing an overview of aid flows to Lesotho, one of the highest consumers of donor funding in Africa. The report concluded that there is a recognition within the Government that an effective system and tools for management of development cooperation are of paramount importance to increase harmonisation and transparency. It emphasised the utility of the Public Sector Investment Database (PSID) instrument, (which our team have been developing within the MoDP), by both Government and Donors is essential if tangible development results are to be achieved. 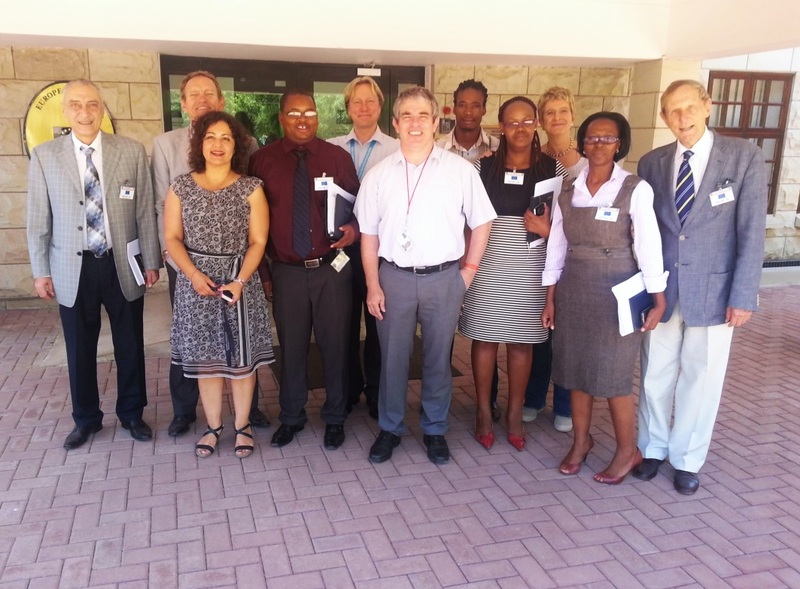 Following this report, on 14th September 2015, Linpico organised a meeting with Development Partners who discussed the overview of aid to Lesotho, from which there was a renewed commitment to achieve better management of aid for a greater impact. The local paper reported the event. The Minister of Development Planning, Mokoto Hloaele, gave an interview, during which he stated that Lesotho’s socio-economic development was largely due to the generosity of its donor partners. This, he said, has helped to “register achievements in maintaining macro-economic stability and economic growth preserving the debt/GDP ratio to remain below 40%”. But he also stressed the need for availability of reliable data on development cooperation as a critical factor for effective management and coordination, as previously mentioned in the report. This PSID that our consultants are providing technical assistance for, is meant to be used as a tool to monitor domestic and external allocations to national development priorities. Also, its aim is to enable the government and development partners to analyse aid flows, facilitate planning processes, mobilise resources and institutionalise transparency and accountability. Mr. Hloaele was very positive about the work of our team as well as the improvements that the PSID will help to bring the MoDP. They hope that “by jointly improving the management of development cooperation, Lesotho will be able to achieve good results in the key properties of the National Strategic Development Plan”.